Part of the Chatime chain. 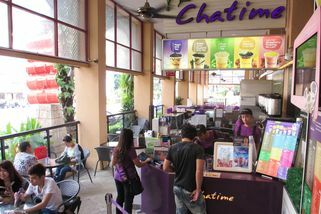 To keep up with the quality and image as one of the top beverage companies in Malaysia and in the world, Chatime Malaysia aim to continue the concept by being the most loved and respectable Tea Company. To achieve this, we have committed ourselves to serving our customers with only the highest quality tea and other offerings alongside impeccable customer service in our modern stores. To churn out our delicious signature beverages, we use sophisticated tea and coffee machines that will produce only the highest quality fresh drinks. As for variety, we can be considered second to none as our range of beverages is one of the most delightful ones in the market. We aim to constantly surprise and please our customers with the choicest selections of teas and coffees, fruit pumps and toppings. Together with our passionate team, our goal is to grow Chatime Malaysia and make it synonymous with great tea, and even better customer service! 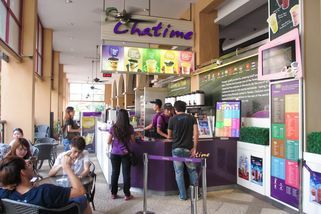 Already rooted in Taiwan, Chatime continues to expand its business ambition to the rest of the world by spreading freshness in every cup. "Chatime wins over the others by bei..."
The pearl milk tea at Chatime is very average. The tea is of normal thickness and the pearls are on the sweet and soft side.